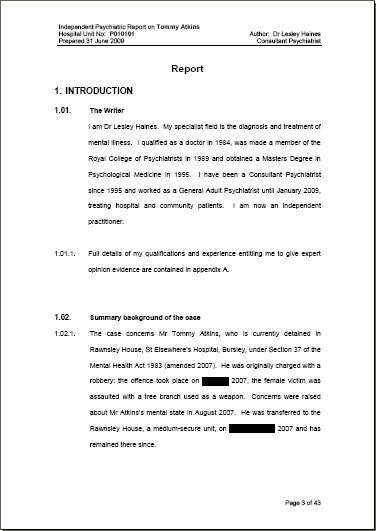 As an experienced consultant, I have acted as Responsible Medical Officer (RMO)/Responsible Clinician for inpatients subject to section 2, section 3, section 35 and section 37/41 of the Mental Health Act. I have been RMO/Responsible Clinician for restricted patients in the community and those subject to Community Treatment Orders. 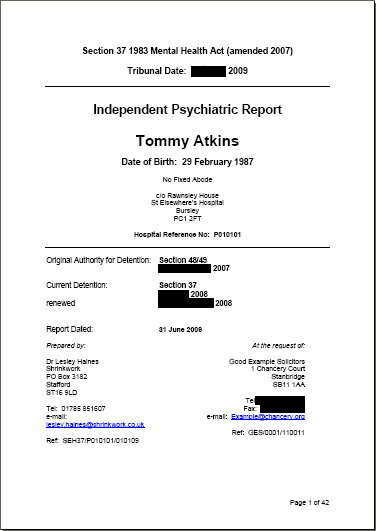 I have extensive experience of providing verbal evidence in Mental Health Review Tribunals and First-tier Tribunals, both for NHS Trusts and as an independent expert. For three years I was North Staffordshire's representative on the West Midlands Section 12 Approval Panel. I arranged Mental Health Act training for section 12 doctors in North Staffordshire. 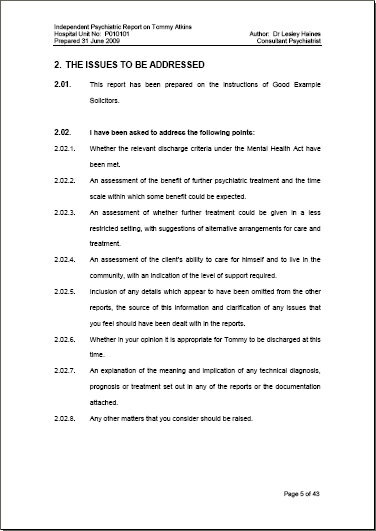 I was responsible for developing North Staffordshire's strategy for implementation of the 2007 amendments to the Mental Health Act. 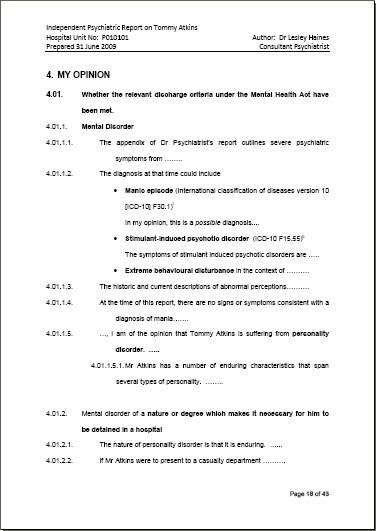 I have been approved under the Deprivation of Liberty Safeguards as a mental health and eligibility assessor, and have experience of the interface between the Mental Health and Mental Capacity Acts. 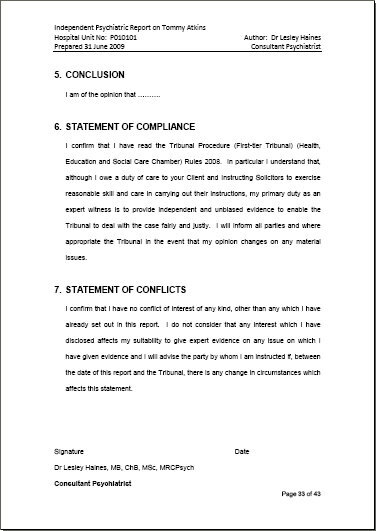 The following are sections from genuine ShrinkWork Tribunal reports, suitably edited to preserve privacy. Each document is in PDF format of no more than 200Kb - each link opens in a new window.